So, you’ve got a long layover at Narita but not enough time to go all of the way to Tokyo. What’s a person to do? And, is Narita worth leaving the airport for? Absolutely. 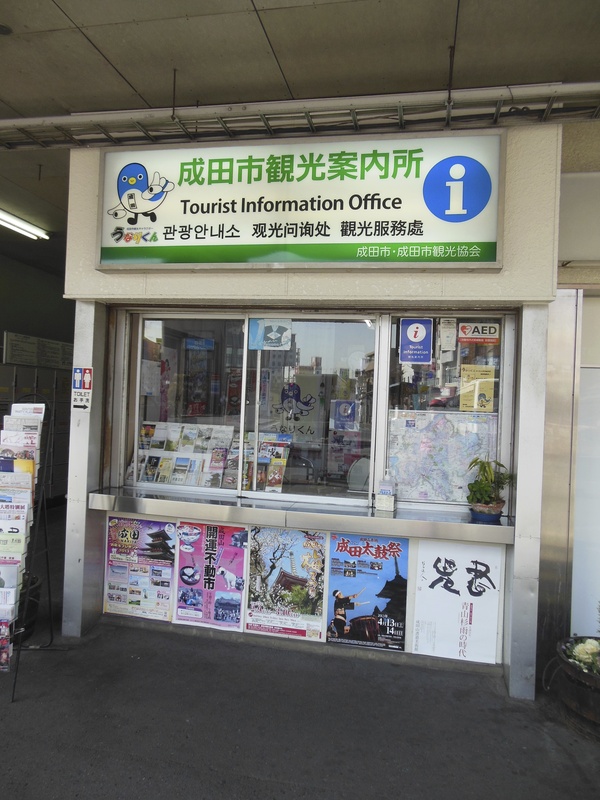 Just outside of Narita train station there is a tourist information booth. Pick up a map of the area so you can get your bearings. Chiba is famous for its rich farming and fishing. 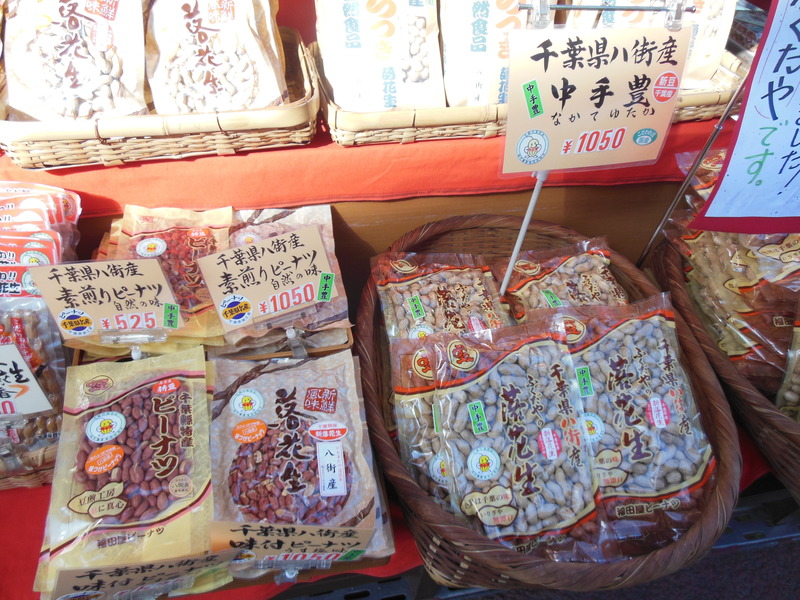 Peanuts, rakasé or pīnattsu in Japanese, are one of the prefecture’s pride. It comes in a variety of ways including roasted, salted, or coated with sugar. 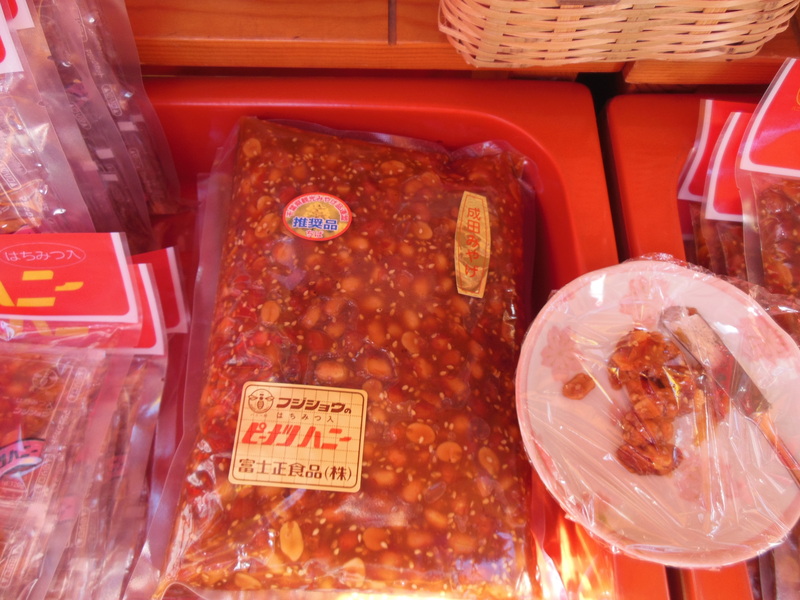 And, pīnattsu miso, yes, peanut miso. Not salty at all as one thinks of miso, but very sweet. 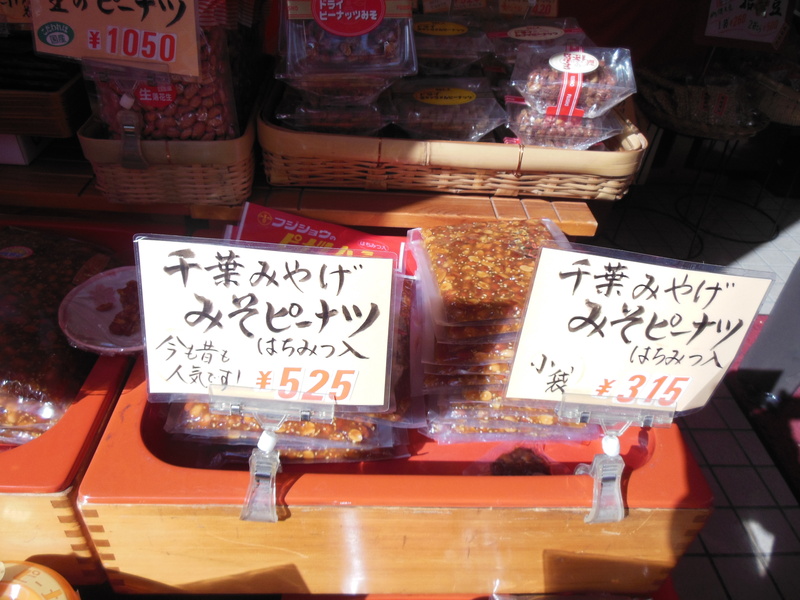 Some shops let you sample before you purchase, so you can see if you like pīnattsu miso. It reminds me of supple peanut brittle. Whole roasted peanuts in a thick, sweet caramel-like sauce. 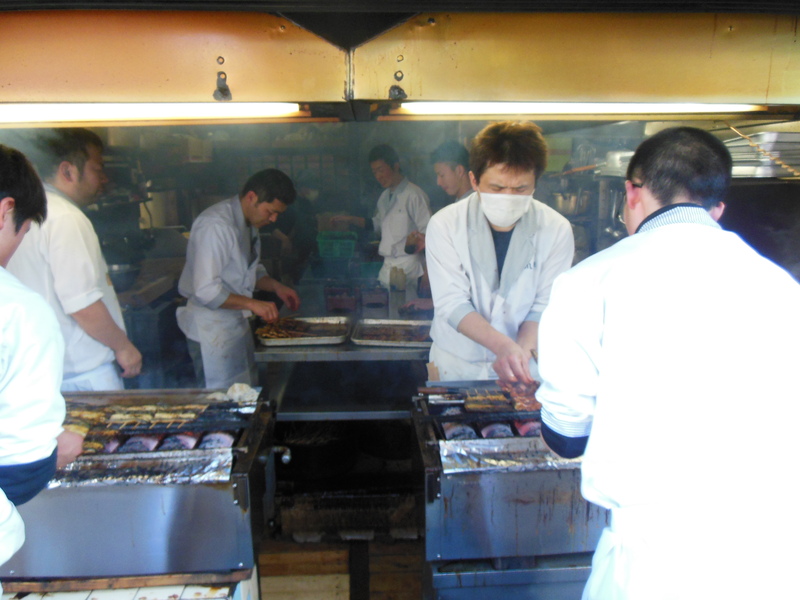 A very popular shop on the main street is Kintoki Ametarō-yaki. 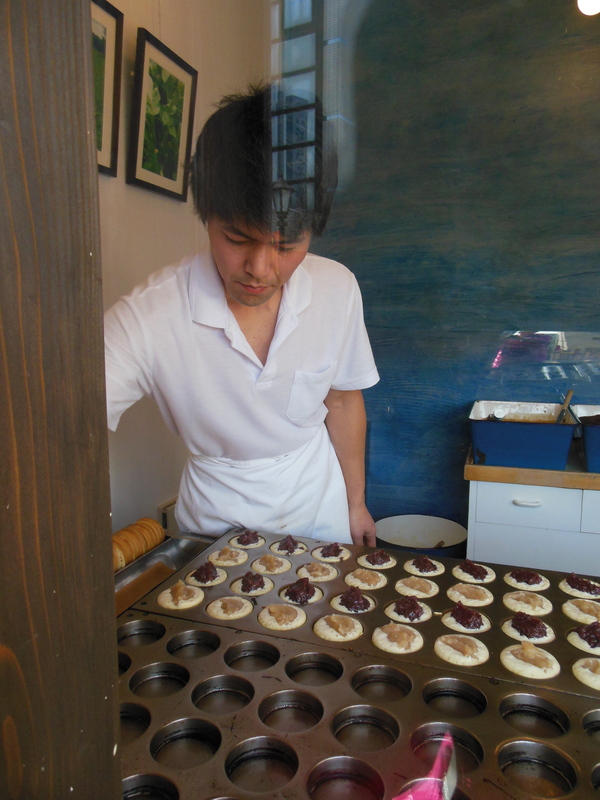 A shop that makes grilled cakes stuffed with either sweet azuki paste or a sweet white bean paste. It’s a popular shop and magazines and TV shows say that there is always a line here, as was the case when we arrived. The Ametarōyaki is only 100 yen so we joined the line and had fun watching the process of making the cakes through the large window. 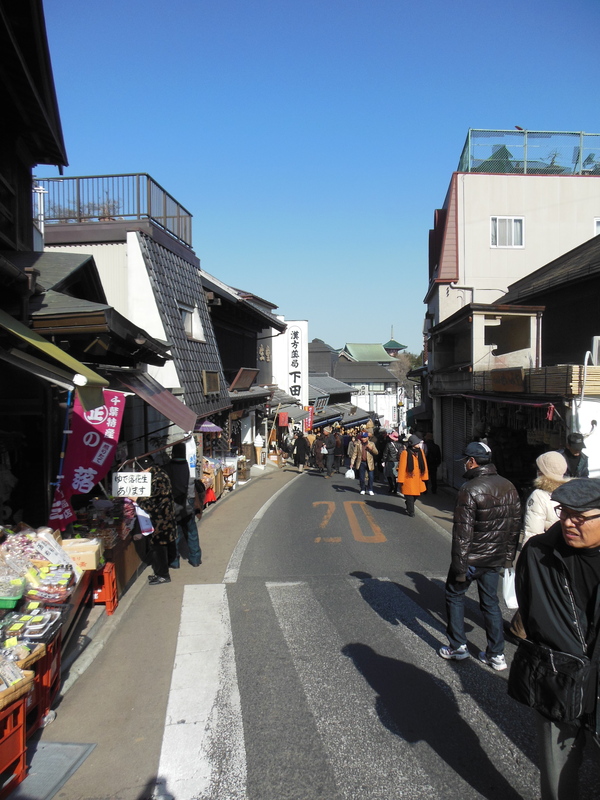 The area near the train station is filled with omiyagé souvenir shops and restaurants. 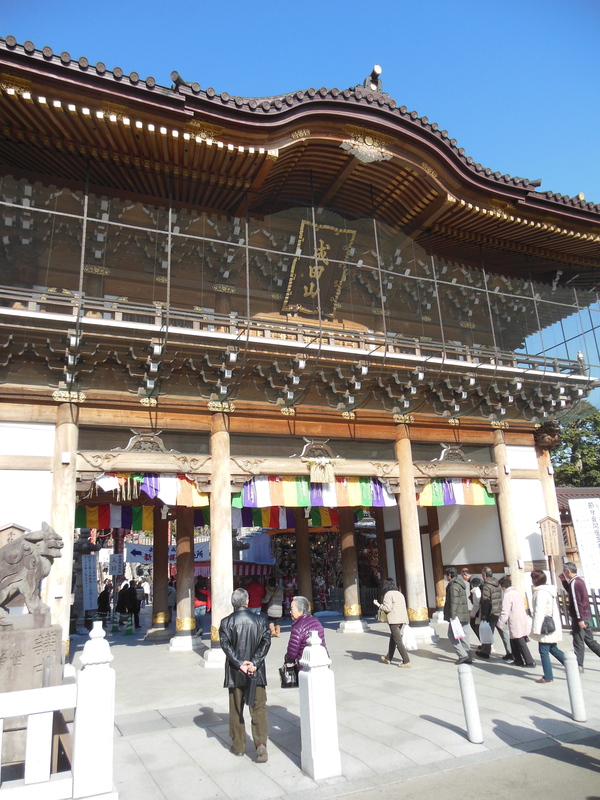 It’s about a twenty-minute walk to the famous temple, Narita-san. 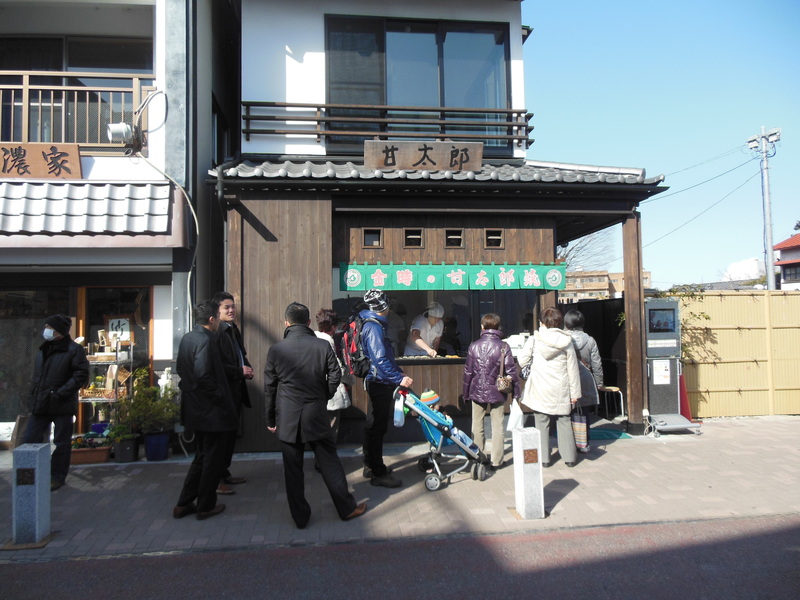 There are several restaurants that specialize in unagi. So, plan on having a meal while in Narita. The smell of the river eel grilling is hard to resist. 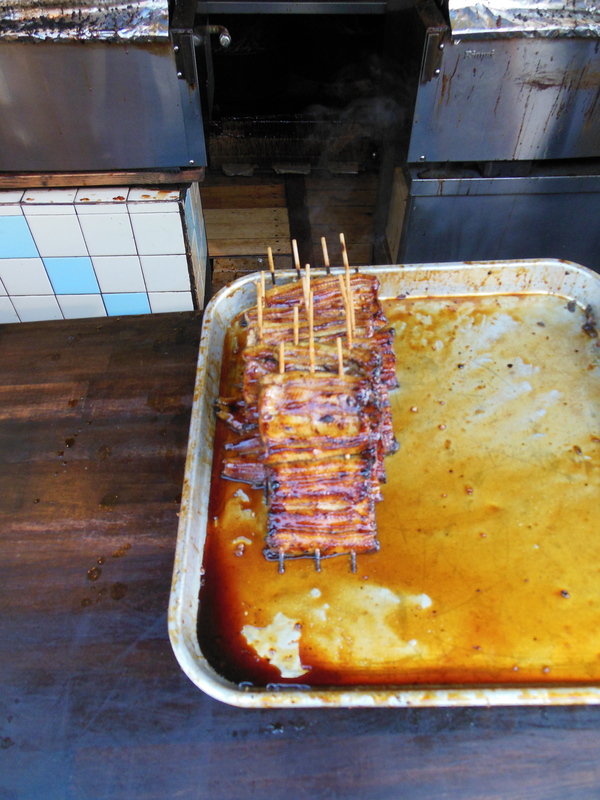 Grilled unagi that has been dipped in a sweet soy sauce. Saké is even brewed in Narita. 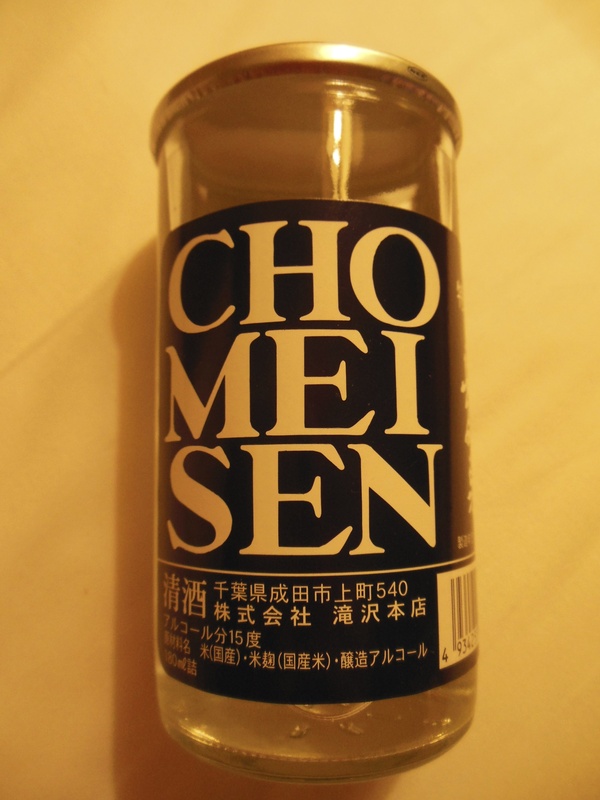 Chomeisen is a sake distillery that is on the main street and you can buy saké at their shop. We had an early morning flight the next day so picked up a small one cup. The Narita-san Shinshōji Buddhist temple is very famous and on this weekday there were lots of visitors, mostly Japanese. The temple’s rich history can be dated back to February 14th, 940. Yes, over 1,000 years ago. Several buildings on the premise have been designated as Important Cultural Properties. There is an English brochure at the temple introducing some of the historic buildings, like the three-storied pagoda erected in 1712. If you have time, Narita is worth visiting. We had an early morning flight the next day and had plans to stay at a hotel near the airport. So, we traveled to Narita early the day before our flight to visit the city. I don’t know if it’s worth a special journey from Tokyo. But, if you are going to be in the area, or if you have some time to kill between flights transiting through Narita airport, then yes, it’s worth exploring. A flight out of Narita airport is usually an international flight. Which often means having a lot of waiting time at the airport. Don’t make the mistake that I’ve done in the past, to go past immigrations thinking you’ll find something to eat close to the gate. Be sure to eat BEFORE immigrations. Lots of options including sushi, tonkatsu, and ramen. 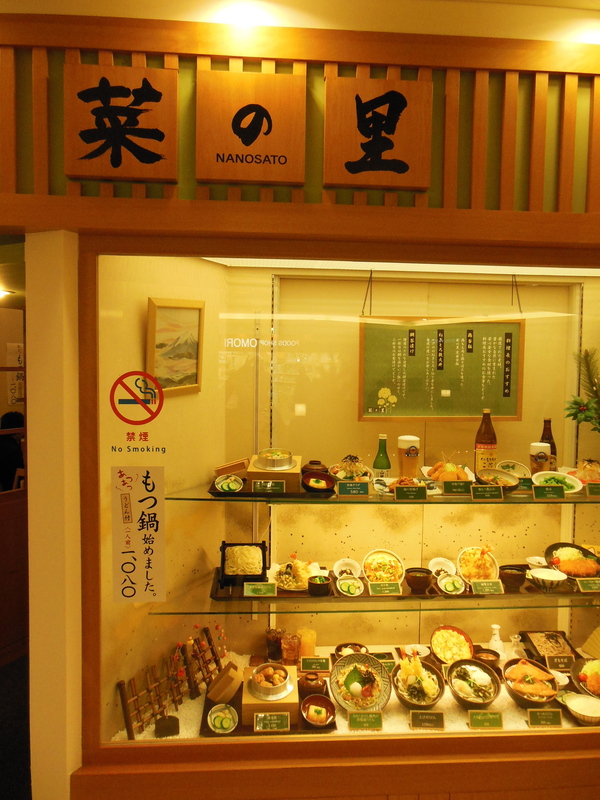 And, there are restaurants, like Na no Sato, that do a variety of Japanese dishes. 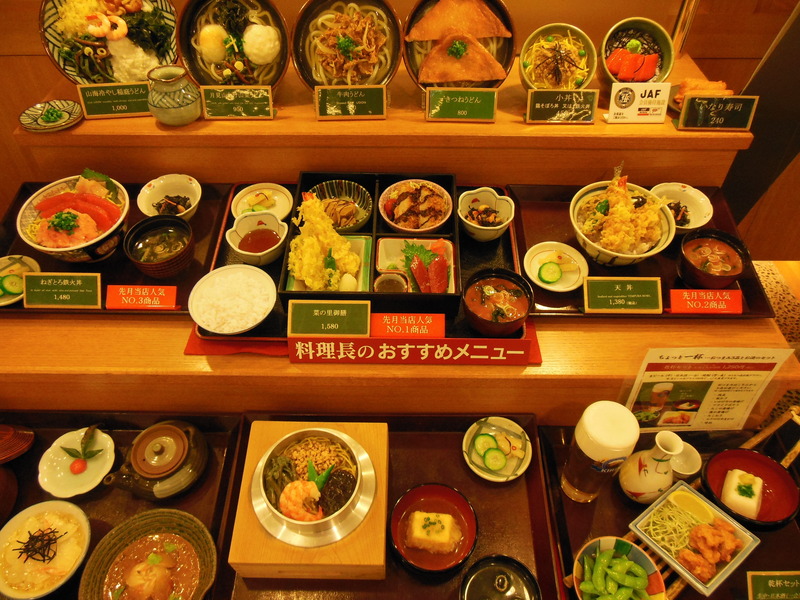 Most of the restaurants have impressive plastic food displays clearly showing what is included in each meal and the price. No worry about anything getting lost in translation here. This set meal has a sign that says that it was the most popular item ordered last month. 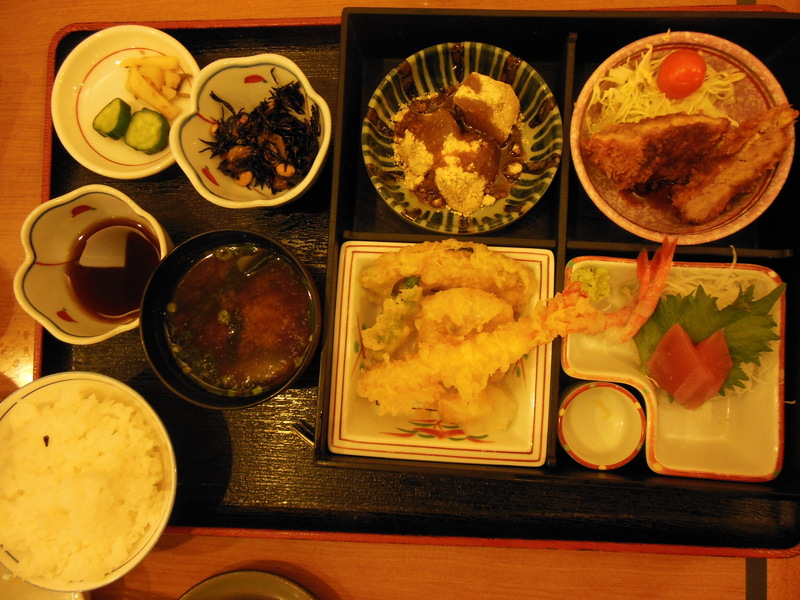 For 1,580 JPY (about $16 USD) there is sashimi, tempura, tonkatsu, pickles and other vegetable dishes, as well as rice, miso soup, and even a light dessert. And, how impressive is this? 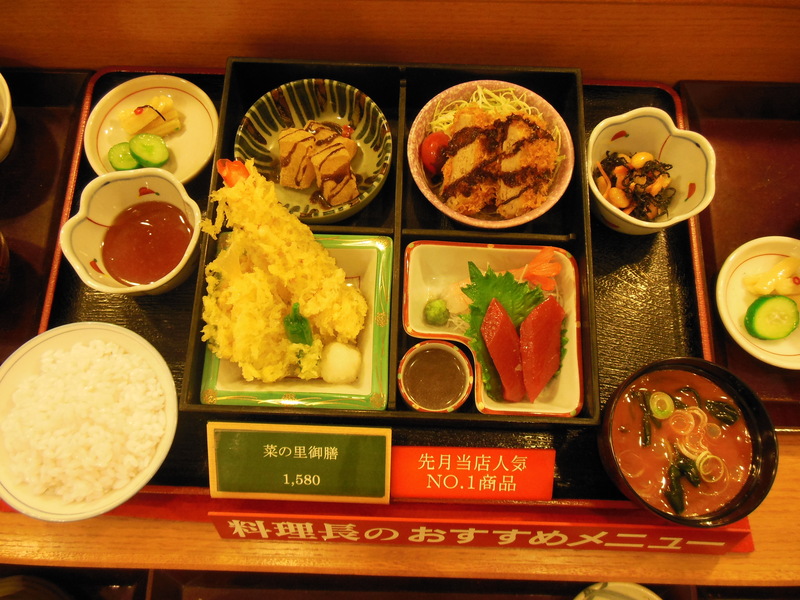 The meal resembles the plastic food in the display case.